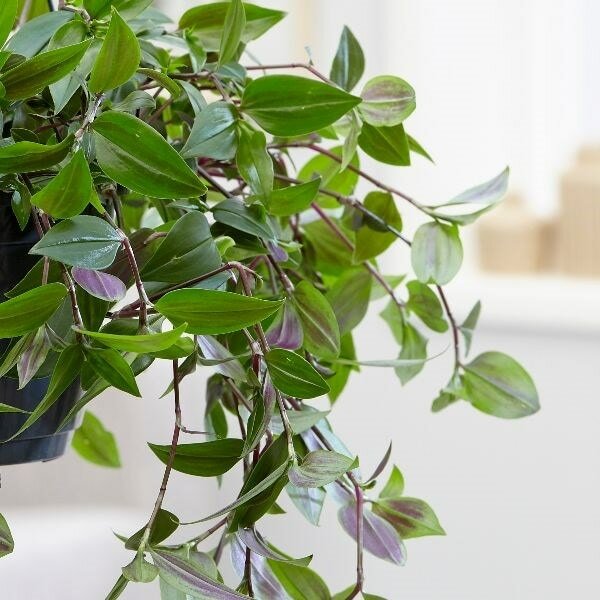 This tradescantia is one of the most popular indoor hanging basket plants - and that's because it will grow happily without much care. 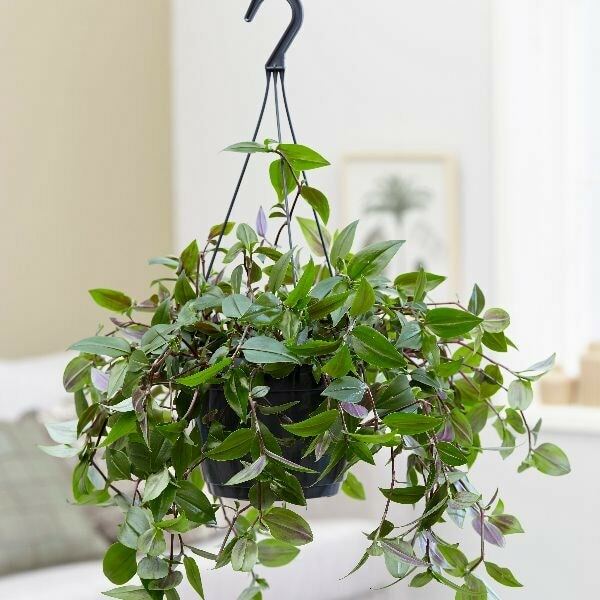 Simply pinch out the tips of the trailing stems and it will get even bushier as it grows. Home care: Make sure that it is in a bright spot but not in direct sun, with a constant average temperature no lower than 10°C in the winter. Watering is simple, -water well in the growing season from spring to autumn, then reduce watering in the winter when the plant's growth has slowed down. You can mist the leaves occasionally in a hot summer. If you fancy more of these plants, then try and take some cuttings in the spring or autumn, by popping a tip of one of the trailing stems into some fresh compost, water and watch it grow.